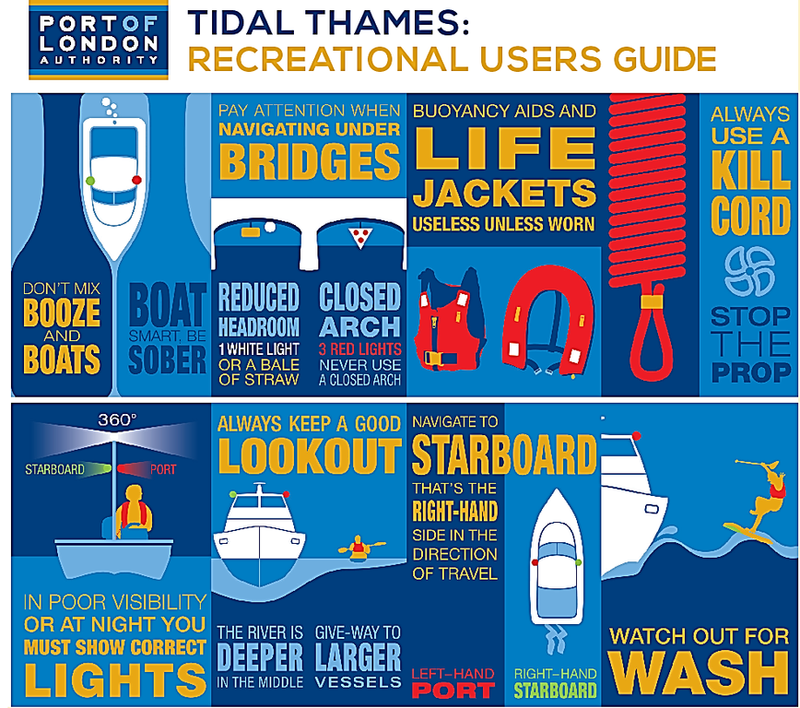 The tidal Thames is very much the heart of British Rowing for both traditional and fine boat rowers and is home to such events as the Oxford & Cambridge Boat Race and Great River Race as well as numerous other races some of which are the largest of their kind in the world. 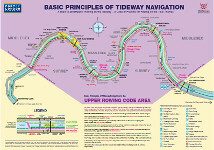 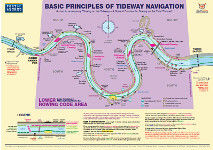 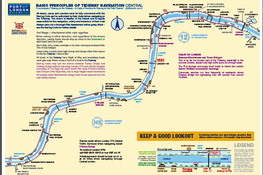 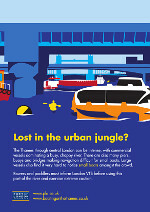 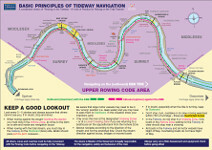 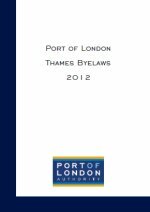 Rowing safely on the tideway demands a sound knowledge of the effects of the tidal stream, including the resultant currents and variable depths which may be unfamiliar even to extremely competent rowers who have not previously visited. 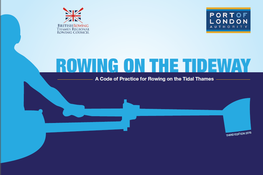 Rowing is most popular above Putney, although there are a number of rowing clubs in the lower river. 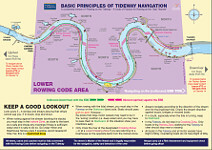 Due to the large numbers of rowers in this area and the interaction of rowing with other recreational users, above Putney there are special rules in place to make rowing safe. 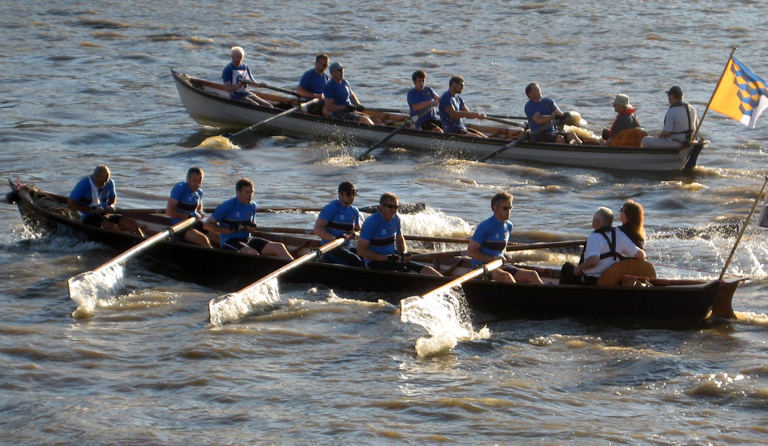 Throughout the river traditional fixed seat rowing is also popular with the more traditional designs of their boat capable of dealing with the rougher conditions to be found in central London and further downstream. 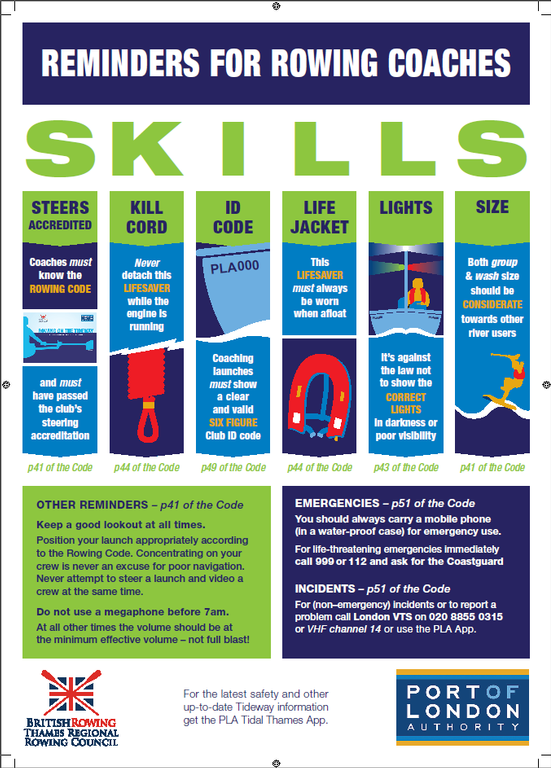 Please click here for advice about reporting incidents.